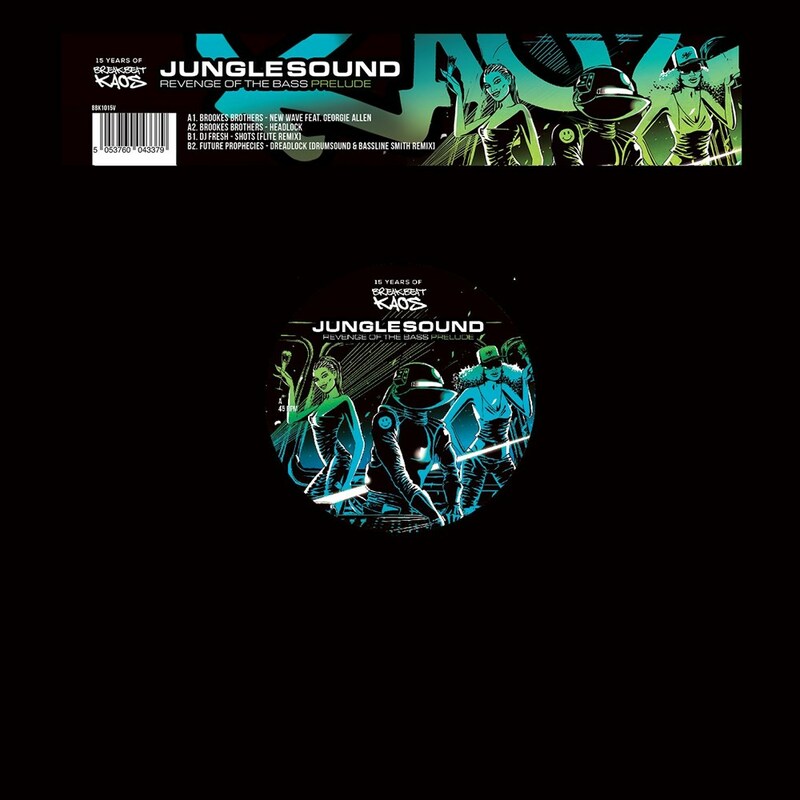 Breakbeat Kaos release a 4 track Vinyl Album sampler from the forthcoming compilation 'Junglesound: Revenge of The Bass (15 Years of BBK)'. Vinyl Features two brand new cuts from Brookes Brothers, 'New Wave', and 'Headlock' which is exclusive to this Vinyl. On the flip side you have two brand new 2018 Remixes of classic BBK tracks from Flite and Drumsound & Baseline Smith of tracks 'Shots' from label head honcho DJ Fresh and 'Dreadlock' by Future Prophecies.